Controversial Left-wing MP George Galloway shocked an Oxford University audience by refusing to debate with an opponent because he was Israeli. To cries of ‘racism’, Mr Galloway picked up his coat and stormed out of the hall. The Respect MP had been booked to appear in the debate at Christ Church college and had spoken for ten minutes in favour of the motion that ‘Israel should withdraw immediately from the West Bank’. But when his opponent, Eylon Aslan-Levy, began putting the opposing view, Mr Galloway took umbrage at learning he was an Israeli. Film of the incident shows Mr Aslan-Levy, 21, a third-year philosophy, politics and economics student at Brasenose College, using ‘we’ in reference to Israel. Mr Galloway can be heard muttering: ‘Did he say “we”?’ before interrupting his opponent. ‘You said “we”,’ said the Bradford West MP. ‘Are you an Israeli?’ ‘I am, yes,’ Mr Aslan-Levy replied. ‘I don’t debate with Israelis. I have been misled. Sorry,’ said Mr Galloway. As he reached the door, he added: ‘I don’t recognise Israel, and I don’t debate with Israelis,’ before storming out of the room. Galloway’s behavior is disgusting, racist, antisemitic, and anti-Israel. It’s also wonderful insofar as it rips off the gooey, sweet, PC mask that the Left uses to cover its censorship and hatred and when it comes to opposing views. This is what BDS (Boycott, Divest, and Sanction) is all about. This is what anti-Israel rhetoric is all about. The Left doesn’t want a two-state solution. The Left doesn’t want to see Palestinians and Israel reach an accord. What the Left wants is to see Israel and Jews silenced — and Galloway is no longer making a pretense that he has any other goal. 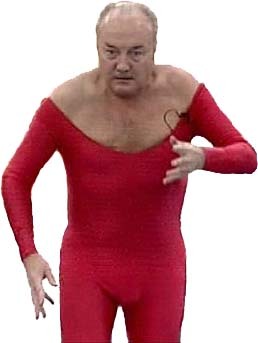 Galloway is as disgusting a human being as it’s possible to be, but he gets kudos today for being sufficiently useful to reveal the core ugliness that lies at the heart of the Leftist approach to Israel and the Middle East.